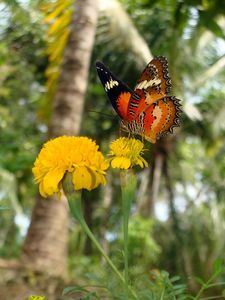 Wouldn’t it be great to spend your time on Koh Phangan Island living in harmony with nature? Because the Home of Healing Arts is located in almost intact nature, we are very particular about to keeping it that way. It’s not that easy because all our waste water pipes lead straight into that nature and those of most bungalows at the beach site lead straight into the ocean. So we should think about what we use for cleaning and showering. EM technology was invented by Dr Teruo Higa a Japanese professor at the University of the Ryukyus in Okinawa, who discovered the amazing effects of some microbes by accident. In the 1960’s, microorganisms were constantly being studied all across the globe, for many different applications. One day, Dr. Higa was working in the lab and accidentally spilled microorganisms near some shrubs. A few days later, he noticed that those shrubs had grown extremely well. Dr. Higa grew up farming and knew that farmers often only had the choice of expensive chemical pesticides and treatments for their crops. He decided to find a natural method through the use of beneficial microorganisms that would help relieve the farmers of their chemical dependencies. Anyway the Thai government has been supporting his EM technology in use of organic farming since 1989 and there is much more we can do with EM like cleaning smelly toilets or washing our laundry. Instead of giving poison chemicals back to the earth we putting out microbes’ through our waste water which are supporting healthy plant growth. EM might give you a cheap and easy alternative to running your household, business or garden more eco friendly. Further on EM is resonating our surrounding in a positive way, which might be interesting for everyone who tries to set up a healing environment to practice Yoga, doing energy work or giving a space for consciousness people. In fact that EM helps to protect our environment; it should be interesting for all of us. We need at least a group of 5 people to run that workshop, please contact us for more information.